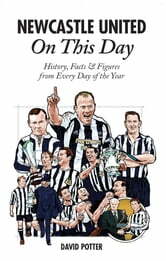 Newcastle United On This Day recounts, in diary form, major events and magic moments in the history of the Magpies. Such as the great triumphs of the 1900s when three league titles were won, the 1950s when three FA Cups were brought back to Tyneside and the heady European triumph of 1969. Less happy days like relegations and miserable FA Cup exits to lower division teams are also chronicled. 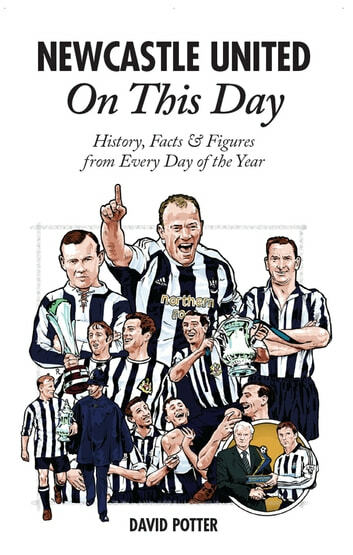 Alongside the achievements and matches, great players like Peter McWilliam, Colin Veitch, Hughie Gallacher, Frank Hudspeth, Jackie Milburn, Bobby Mitchell, Bobby Moncur, Malcolm MacDonald and Alan Shearer all appear.